Smartwatches have now been around for a couple years, but what if you could have an intelligent wall clock that not only looks amazing, but also delivers pertinent, useful information when you need it? That's where Glance Clock comes in. The sleek wall clock will connect with your smartphone, wearables, and smart home devices to make sure you're always in the loop. We live in a busy world, and with that comes the need to be connected. Emails, lunch dates, meetings, Uber rides, everything we do is on a time frame, one that usually requires prompt responses and decisions. By using a combination of vibrant colored arcs and scrolling text, notifications from your different devices will display on your Glance Clock, keeping you in the loop without requiring you to stop what you're doing to check your phone or email. A simple glance is all it takes to know exactly what's up and where you need to be. Glance Clock works with things like email to alert you of incoming messages, as well as calendar events. It works with map apps to alert you of traffic conditions and will sync with weather apps to keep you up to date on weather conditions. Color code your phone contacts to quickly see if you're getting a phone call or text from a client, or if it's from a friend or family member. Use Uber? It connects with the app to notify you when it arrives at your door. Smart devices like Amazon Alexa work with Glance Clock to visualize answers you pose. The answers pop up on your clock and scroll across the screen. It will also work with fitness trackers to visualize your goals and to see how close you are to completion. If you're a sports fan and like to keep up-to-date with breaking information, you can connect your Glance Clock to services like ESPN. The Glance Clock works with a huge amount of apps, but if you find yourself wanting even more, the product even allows IFTTT to allow almost endless integrations. 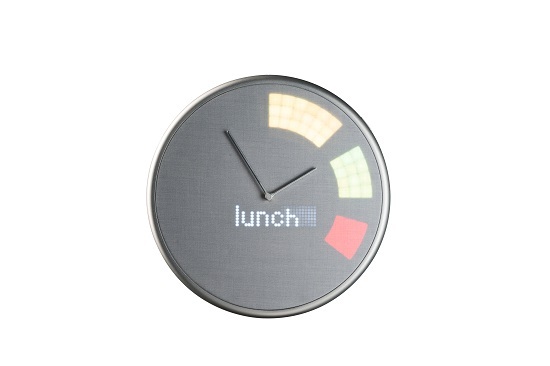 Glance Clock is truly an answer for those of us who lead hectic lives and don't like to be interrupted from our work to simply see who a text is from or what the weather is going to be like for the day. Putting your notifications up on display keeps your hands on the keyboard and your mind on task and doesn't pull you away from your work, not even for a second. 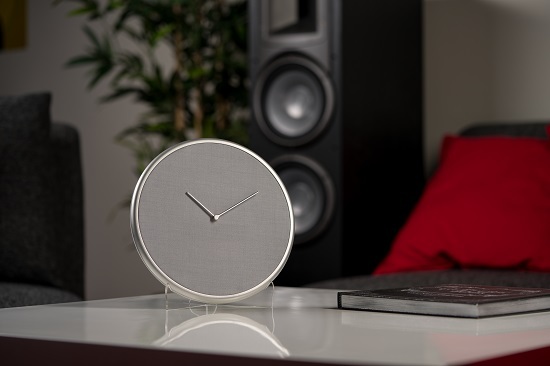 The Glance Clock is currently on IndieGoGo and is crushing their original goal. You can check out the campaign here.